I met Whitney freshman year of college in the Cal Poly San Luis Obispo Trinity dorm. What a total sweetheart! When we were back in Avila for our second wedding anniversary, I was so excited to do an anniversary shoot of her and her boyfriend Spencer. These two are so fun, sweet, and even treated us to a DELICIOUS breakfast at Novo in downtown San Luis Obispo. We played on the beach, dipped our toes in the water, and celebrated their love and the sun for a fun Sunday evening. We also came across this ADORABLE puppy during their Avila Beach anniversary session. He came right up and played in her dress ( a few bites too ). His owner said he’s already an Avila Beach celebrity just from a few daily walks. So cute! Want to do your engagement session on the beach? I’m a sucker for a good beach engagement photography session as well as anniversary sessions! Don’t forget family portraits too. Contact us today to book your session. We will happily head to the coast – we’re not just Sacramento wedding photographers, but also Central Coast photographers. 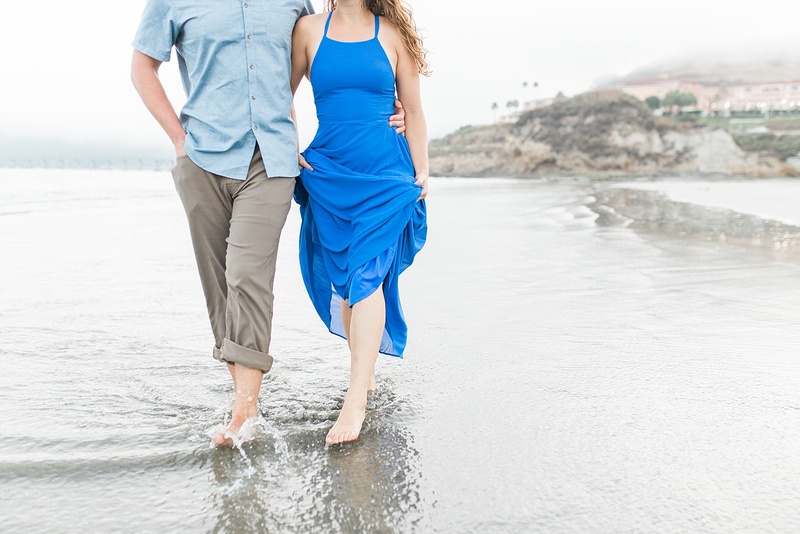 We spent four years enjoyed the sun and the sand and will happily be San Luis Obispo Wedding Photographers too! Or schedule your Avila Beach Anniversary session here. All #baumbrides receive a complimentary engagement session with all wedding collections. New on the blog: Did you check out the San Francisco Giants’ themed newborn session on the blog now? We love shooting newborn lifestyle sessions.